Every little girl has an American Girl doll at the top of her Christmas wish list. All of the ‘lil Smarties on Team CSP have frequented the American Girl store in South Park and often! There is something magical as soon as your daughter steps foot in the store! We are super excited to announce that in honor of CSP’s 10th birthday – that’s right, you’ve had 10 years of pink & green bliss:-) – our besties at American Girl are giving away not one, but TWO very special American Girl dolls, books and accessories. One lucky Smarty will win the Tenney Doll, Paperback Book & Accessories. And another lucky Smarty will win the Z Yang™ Doll, Paperback Book & Accessories, a value of up to $149 for each winner! Read on to see how you can score this fab gift for your little girl! Tenney Grant™, one of American Girl’s new contemporary characters, is a breakout songwriter hoping to make her mark on the Nashville music scene. She learns quickly that it takes hard work and grit to stay on the path to becoming a great performer—but it’s going to take extra determination if she wants to stay true to herself and her music. The 18” Tenney doll has long, curly blond hair and warm brown eyes. Tenney’s unique hand positioning helps her hold her guitar, banjo, and pick. Tenney arrives in a graphic tee, denim vest, and faux-leather skirt, underwear, and ankle boots. Also included is the Tenney paperback book by Kellen Hertz. Her accessories include an authentic Taylor® GS Mini® guitar that can be strummed and plays three songs and a songwriting notebook. 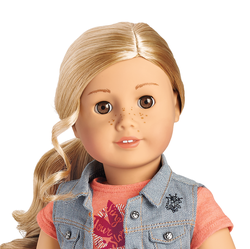 The Tenney collection is available through American Girl’s catalogue; at americangirl.com; at all American Girl retail locations nationwide. The Tenney books can also be purchased through retail and online booksellers. Z Yang™, American Girl’s newest contemporary character, is an imaginative 13-year-old from Seattle who develops her own take on the world around her. Z (short for Suzie) is Korean-American and loves staying connected with friends through her vlog, Z’s Crew. Now she’s taking a shot at her dream of becoming a true filmmaker. The 18” Z doll has long dark-brown hair, warm brown eyes, and a beauty mark on her left cheek. 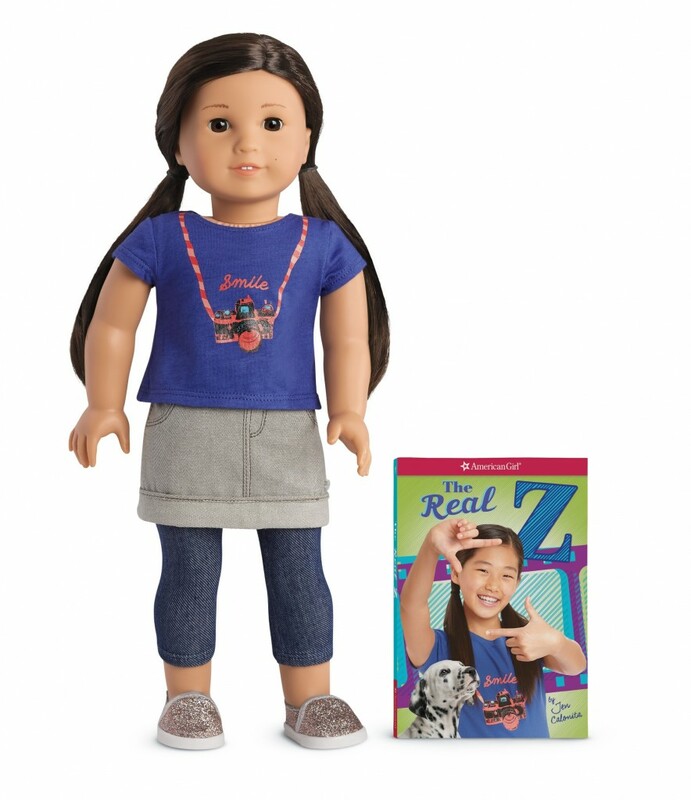 The Z doll comes dressed in her signature outfit, along with a paperback of The Real Z by Jen Calonita. Her accessories include a white twill jacket, a space-dyed knit hat, peach glasses, and a striped jersey-knit scarf. The Z collection is available through American Girl’s catalogue; at americangirl.com; at all American Girl retail locations nationwide. The Z books can also be purchased through retail and online booksellers. Go to americangirl.com, Facebook at facebook.com/americangirl, Twitter at twitter.com/american_girl, Pinterest at pinterest.com/agofficial, and American Girl’s Instagram page at instagram.com/americangirlbrand. To request an American Girl catalogue, call 1-800-845-0005. Lucky for us, we have our very own American Girl store right here in the QC! Think birthday parties, tea parties, doll hair spa and more – so fun! Make sure you check in and often as they host fun events all the time! 2) Bonus: Share this post on facebook and instagram and and tag American Girl & CSP. Let us know in the comments below after you complete. You’re one step closer to having Tenney Grant™ or Z Yang™ join your family for 2017. All Smarties who complete the steps above (we will validate!) will be put into a drawing. Our winner will be announced in our Smarty e-newsletter on Friday, December 8th, so be on the lookout! A Little Smarty Giveaway! The Christmas Star From Afar®! Register NOW for YMCA Camp Thunderbird’s Winter Camp Dec 9-10! My daughter loves American Girl dolls because they are so real and life like and portray what girls can do. She loves the books about them that tell their stories as well. 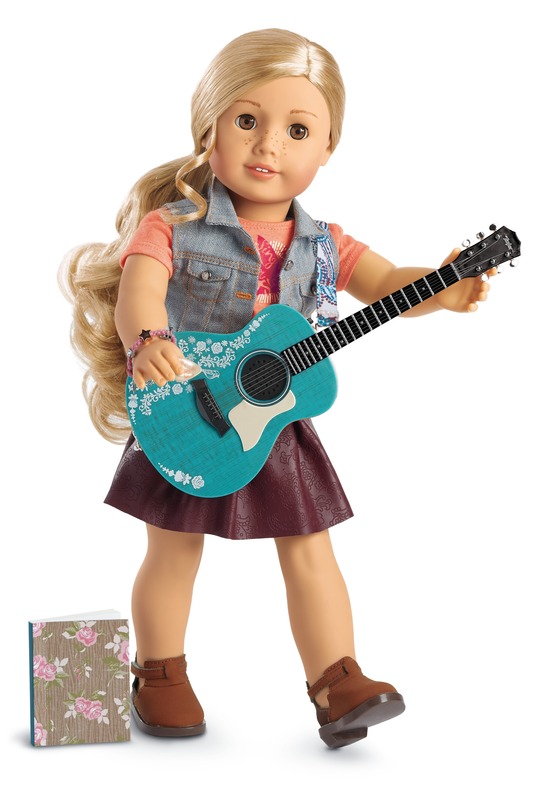 She can interact with them in a real world way with other things from the American Girl line up of accessories. My eight year old enjoys putting together new outfits and accessories and doing their hair! My daughters love American Girl! My oldest daughter has a Bitty Baby and loves playing “mommy.” My girls love going to the store to look around. They absolutely love the store displays and putting everything on their Christmas wish list. Shared and tagged. Thank you! I have been a long time subscriber. I shared on Instagram: https://www.instagram.com/p/BcKVRVUBxaW/?taken-by=mysticbutterfly37. My 8 and 5 year old girls love American Girl dolls because they are special and they can find dolls that look similar to themselves. They also enjoy dressing them up and changing their clothing. Shared! My daughter loves American Girl dolls because she is an only child and she loves to pretend she has a “sister”. She would love either doll! My daughter loves the historical fiction storyline that goes along with each doll. My daughter loves American Girl because she love to hold her and brush her hair while I read her the stories. She loves bringing her outside to swing with her and play on her slide. My daughter loves these dolls because they are really pretty and make her feel happy when she plays with hers. My daughter enjoys reading the stories behind the dolls (especially Tenney. She enjoys playing with them an immersing herself in their stories as she plays. My daughter likes American Girl because you can dress them and make up stories and play with accessories and they are more fun than a Barbie doll. Signed up for your newsletter. My daughter loves their stories and accessories! My daughter loves the outfits and the books. My daughter loves the American girl stories. We havent gotten her one yet so this wpuld be perfect. Thanks. My family loves american girl because of the great lessons they teach and their fashion line! All signed up for the newsletter! My daughter loves the American Doll stories and clothing. My daughter LOVES american girl dolls because to her they are more “real”. I haven’t been able to afford one for her so this would make her day! Thanks for the chance! My daughter enjoys learning the story behind the American Girl dolls and styling them. And we love that American Girl makes every little girl feel special! My little girl always loved playing with dolls but she doesn’t actually have one yet so we’d love this high quality American girls doll! My daughter’s eyes light up every time she opens a catalog or sees an American Girl Doll. She enjoys seeing AG dolls that look like her and those that resemble her diverse friends. I love the sweet stories that accompany them. This would be her first AG doll and make her dreams come true! Shared on Facebook. My daughter loves American girl dolls because they are so realistic and have such amazing stories. My girls love the American Girl dolls for different reasons. My youngest loves dressing them up and my oldest loves the stories behind the dolls! An American Girl doll is the ONLY item my daughter has asked for this year. She loves to sing and play her guitar just like Tenney does. We are new to the American Girl world, she is only 6 soon to be 7 years old, but very excited for the new adventures of American Girl play. Shared. My daughter loves AG because they are like having a built in best girlfriend, especially when you only have brothers! My daughter loves imaginative play and still is a die-hard AG fan at nine years. Love that my love of playing with dolls has passed on to my daughter. The love creating things for American Girl dolls and playing together with dolls. I subscribe via email. My daughter and I love American Girl dolls. We enjoying crafting for our dolls and reading their stories together. My daughther plays with her AG dolls everyday. Tenney and Z are on her wishlist. Thank you for a chance to win. Shared on Facebook! And already a subscriber. My kids love AG and I love that they encourage imaginative play. As the youngest of three girls, my daughter would love her very own AGD! All of my girls have enjoyed the dolls and books! My girls absolutely ADORE EVERYTHING AMERICAN GIRL!!! They enjoy playing with them daily and creating beautiful stories! Its always a magical experience when you step foot into the AG store! My daughter has an AG doll and loves her. She would love to win one of these to give her cousin!